Let’s start off by listing the issues that almost every passenger faces as a part of their airport experience. Lack of information regarding the parking plazas respective to the assigned terminal. Too much traffic causing the fear of missing the flight. It is on chance that you may or may not find a vacant parking bay in the official parking compound. There is no flexibility and it operates under fix price rule which is generally sky high by the way. The back and forth walk between your car and the terminal dragging the luggage behind you. Handing the luggage with the kids or any elderly person you could be travelling with can be hard. In case of open garages no assurance that your vehicle is safe. Parking at the café, cinema or the mall is challenging enough with only a couple of hundred cars at 1 time by max. But there are thousands of travellers passing through the Luton airport day and night. This situation becomes even critical during the vacation season. The on-site airport parking cannot handle all these passengers. Therefore instead of taking the shot in the dark, pre-book car park Luton airport and ensure a facilitated journey on your departure and arrive. 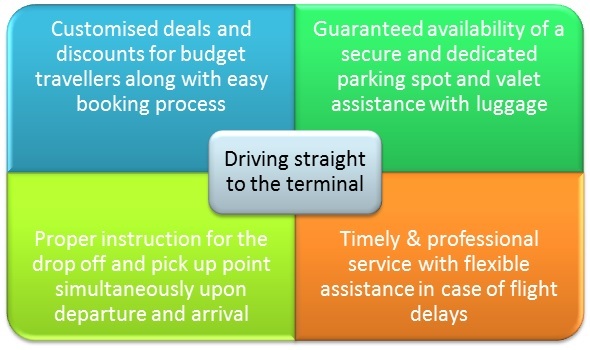 If you are entitled to all of these luxuries by swift parking reservation in advance then do it at your earliest convenience. Get ready to enjoy your travels for you have successfully eliminated all the potential hiccups with your savvy travel plan.